On the go 365 days a year–and preferably 24/7? If you've got an active lifestyle we've got the jacket to match–the Mens 365 TwentyFourSeven Jacket . This lightweight shell jacket is so comfortable it's like a second skin. You don't have to wait for it to rain to wear it, though. You can wear it any time, any place. The jacket is made of our environmentally friendly Texapore Ecosphere. It has a pleasantly soft feel–almost like cotton–and consists entirely of recycled polyester. And it's waterproof and very breathable, of course, so you can rely on it to perform 365 days a year. The Mens 365 TwentyFourSeven Jacket is part of our JW365 collection, a signature range of products created for an active lifestyle between the office and the outdoors. 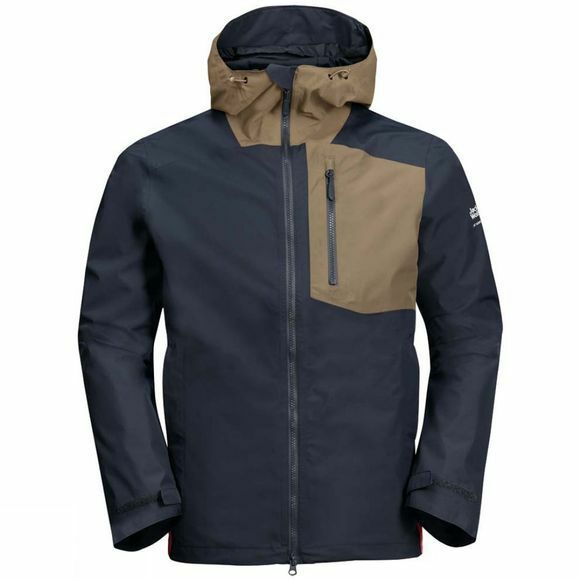 If you're looking for a youthful, confident style, a stand-out design, full-spec Jack Wolfskin technology and a combination of outdoor functionality and everyday suitability, these products were made for you.